That’s the feeling during the roster-building process for first-year coach Carlos Mendes. Ahead of the upcoming NPSL season, the club began training this week, working with a group of experienced players that will form the spine of the team as well as trialists that will fill out the roster. “We have a lot of work to do, but we’re excited,” Mendes said. 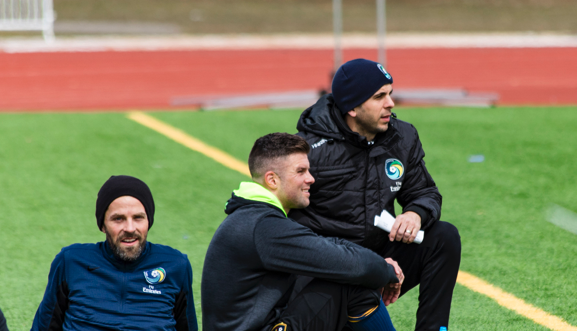 Some of the players Mendes mentioned as the backbone of his roster will be Danny Szetela, Alexis Velela and Bledi Bardic, who have both played with the Cosmos in the past, as well as adding other experienced players such as Johnny Borrajo and Chris Wingert. “The most important thing is bringing in good people,” Mendes said. “If you look at guys like Chris, Danny, Bledi, they are going to be leaders and it will be a natural transition. Despite it only being the first week of training, the players had a good base of fitness, although that is an area assistant coach Luis Gutierrez, who will also serve as the fitness coach, plans to build on once the full group is in place. On the field, though, the players’ enthusiasm to get the season started was on display, and it was clear from the outset the role Szetela, who was named captain, is going to play. “On the field I’m going to push everybody,” he said. “You want to do the best, you want to win. Monday was the first practice and I’m mad my team lost. 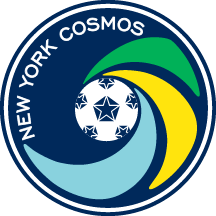 Szetela’s leadership along with the veteran players in the team gives the Cosmos a platform to build on with an important facet of the club’s makeup in 2018 consisting of young talent to fit into an energetic, attacking system. “We’re looking for a mix of young players that are starting their careers and some more experience,” Mendes said. Gutierrez noted that the next crop of signings for the side should be of the attacking variety. For the coaches and players, the start of the season in May can’t come soon enough. “The guys look good, there is a lot of talent out there,” Szetela said. “The guys are young, but there’s a lot of talent, and I’m excited to see how the year goes.